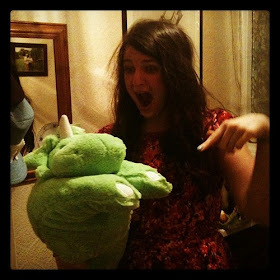 t*rexes and tiaras: Sin City.. 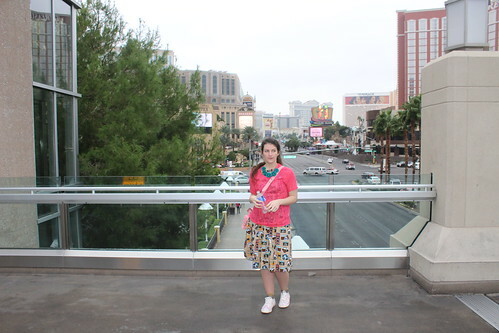 I've been sifting through my photos from Las Vegas and there are so many, so here are a few from my first day. The weather was weird when I arrived; really misty. According to the local news stations, it grounded a lot of flights on Wednesday and Thursday, but it was clear by the weekend so there are better weather photos to come. 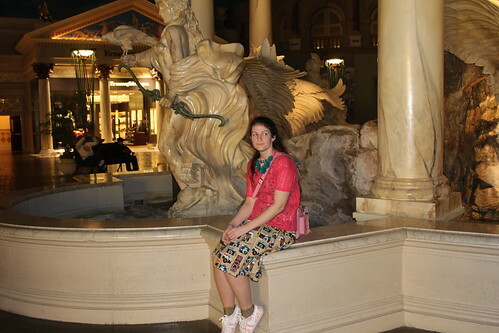 On the first morning (Wed) I left my hotel and wandered over to Caesar's Palace for breakfast and a look around the Forum Shops. Everything (including the breakfast) was so indescribably huge in Las Vegas. 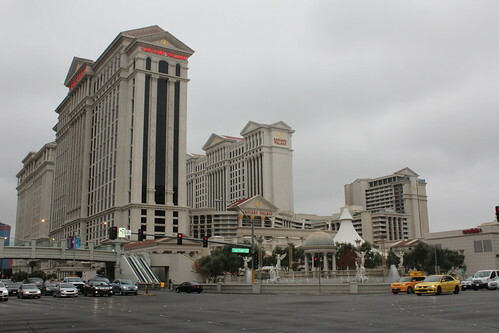 I'd been looking at maps before I went and thinking that I'd just pop next door to see something, not realising that each casino is the size of a block. 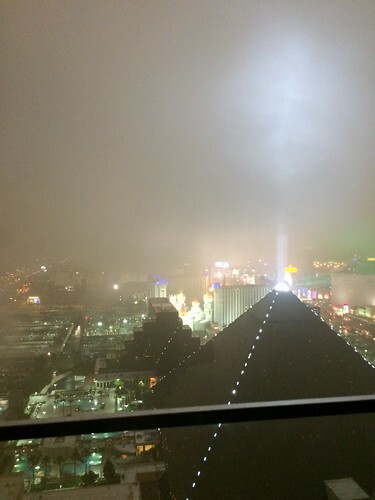 That night, we crashed a party being held in the Mix Bar on the top floor of Mandalay Bay, which has a huge balcony where you could look out over the whole of The Strip....if it wasn't so foggy. This was as far as we could see, which was a shame. If we'd come later in the week I think the views would have been great! There was just so much to see! 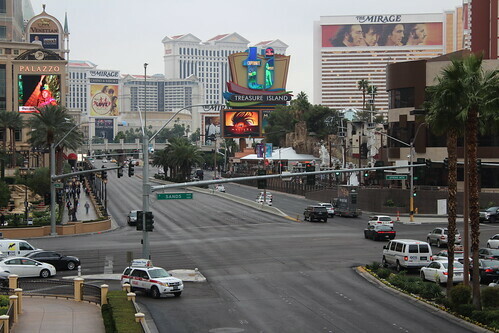 I love Vegas :) Great photos! I didn't expect it to be as huge as it all was as well. Aw that's a pity, would've been stunning on a clear day. 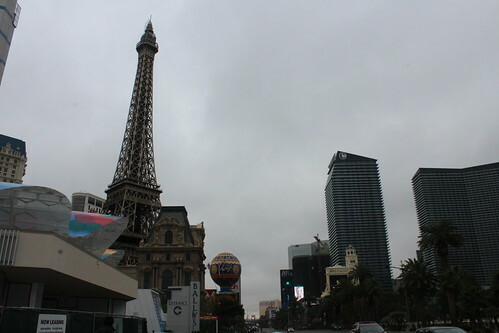 I always think Vegas looks so strange...like a toy or lego city or something with all the different shapes and colours of buildings! I did manage to see some lovely views on the other days. 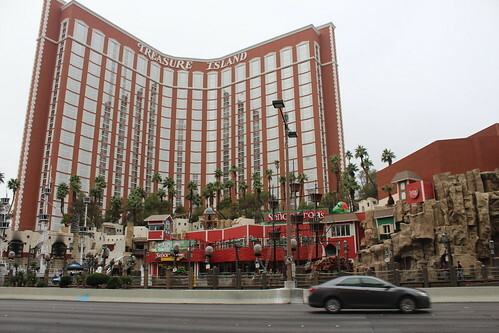 Wow, i'd love to make it out to Vegas one day, looks so much fun! It's definitely somewhere to see!